I am guilty of something that I’m embarrassed to admit – I have a better relationship with the couple where I take my dry cleaning than I do with my primary care physician. Isn’t that horrible? I’m in the healthcare IT business and yet I’ve never tried to have a “normal” conversation with my physician. Our dialog is strictly clinical. I started thinking about my relationship with my physician as a result of the #hcldr tweetchat we had on January 7th. While preparing the blog for that chat I shared some of the goals I has set for myself in 2014. One of those goals was “Reach out and catch up with at least 20% of LinkedIn connections”. Last week, I started to work on that goal and as I was looking through my list of contacts I noticed how many doctors I had gotten to know socially and professionally. That’s when it struck me – my own primary care physician was not on the list. In fact, I realized that I didn’t know very much about my doctor who I have been seeing for almost 15 years. How could that be? Does that make me a terrible person/patient? Would my doctor even want to get to know me better given how many patients pass through the office? With so many questions, I decided to look into this subject a little more deeply and I thought this would make a good topic for discussion this week on #HCLDR – Tuesday January 21st at 8:30pm Eastern (North America). T1: Do docs/nurses/caregivers need to show more empathy? How much is too much? 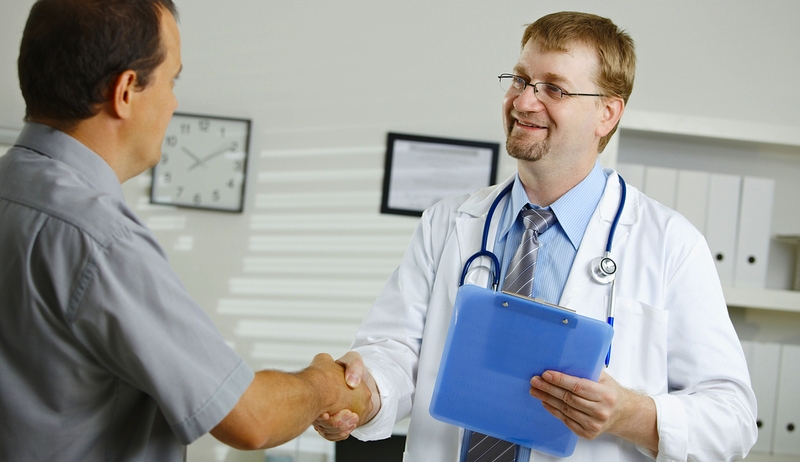 T2: What could providers or their organizations do to strengthen relationships with patients? T3: What could patients do to strengthen their relationship with healthcare providers? Most of the time, our relationships with our physicians are one-sided, and peppered with on-the-run diagnoses and treatment plans. Enhancing the relationship with your doctor, expanding it just a bit beyond the clinical interaction, can maximize your medical care in ways you might not expect… It’s human nature to want to do more for someone you care for and like as a person. And you want your doctor to go the extra mile for you. It also helps if you show you are invested in your health and medical care. This increases your doctor’s investment in you as her patient. In Ehrenclou’s post on Kevinmd.com “Tips to maximize the relationship with your doctor”, she writes that one of the keys to establishing a relationship with your doctor is to remember that they are human beings too. We all must realize that doctors are people just like us. They have personalities, feelings, good days, bad days, families and social lives. Sometimes doctors are forced to sacrifice important events to tend to their patients. They miss their kids’ soccer games, medical appointments, school meetings and social events. Sure, they chose their profession, but the demands and sacrifices are great. In other words patients need to have a level of empathy for their providers. But what about the other side of that coin? How much empathy should providers have for their patients? I’m not sure I agree with their position, but it certainly is thought-provoking (and perhaps a good topic for a future #HCLDR chat). It is not only physicians that struggle with empathy. There was a poignant story in the New York Times of a nurse who went through an emotional journey with one of her patients. It a truly touching story of how much nurses give of themselves to the people in their care and in this one instance, how that emotional journey helped to heal from her own recent loss. If only more patients were like LaRita. Each time she comes to my office, we sit and have an intelligent, thoughtful conversation about her condition. That’s wonderful, because the more you know about your disease, the easier it is to understand how treatment works, which means you’re much more likely to stick with it. I really believe that informed patients do better overall. They feel like partners, rather than passive participants in their disease, so they ask questions, notice and tell their doctors when something’s amiss, and take more action to improve their health. One of the most important things I learned while doing the research for this post is something I should have known all along – healthcare providers deserve (and like) to be thanked for the work they do, but rarely receive any from the patients they care for. Last week there was a post on KevinMD.com “A gracious note, letting a doctor know she made a difference” that had an excellent example of a letter from a patient thanking their doctor for making a difference. I think it’s about time I thanked all the healthcare providers that I see on a regular basis. Time to fire up the mixer and the oven! Reblogged this on Bernadette Keefe MD.